VIDEO: Jasmine Thompson Covers “Do You Want To Build A Snowman” From ‘Frozen’! Jasmine Thompson released an amazing cover video for the hit song “Do You Want To Build A Snowman” from the hit Disney movie, Frozen. This song is also one of the tracks that are featured on her Take Cover EP that released earlier this week. Make sure you grab Take Cover on iTunes now and check out the “Do You Want To Build A Snowman” cover video below! Cody Simpson announced excitedly today on Twitter about a new opening act on his tour. It seems that the UK leg of his tour will be opened by the amazing and talented Jasmine Thompson. You can check out the dates for her opening above. 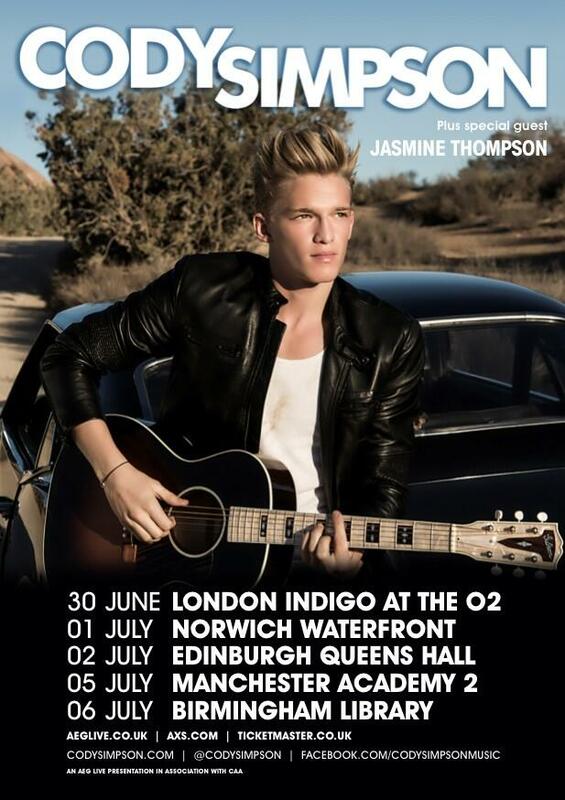 Have you purchased your tickets for Cody’s European Tour yet? 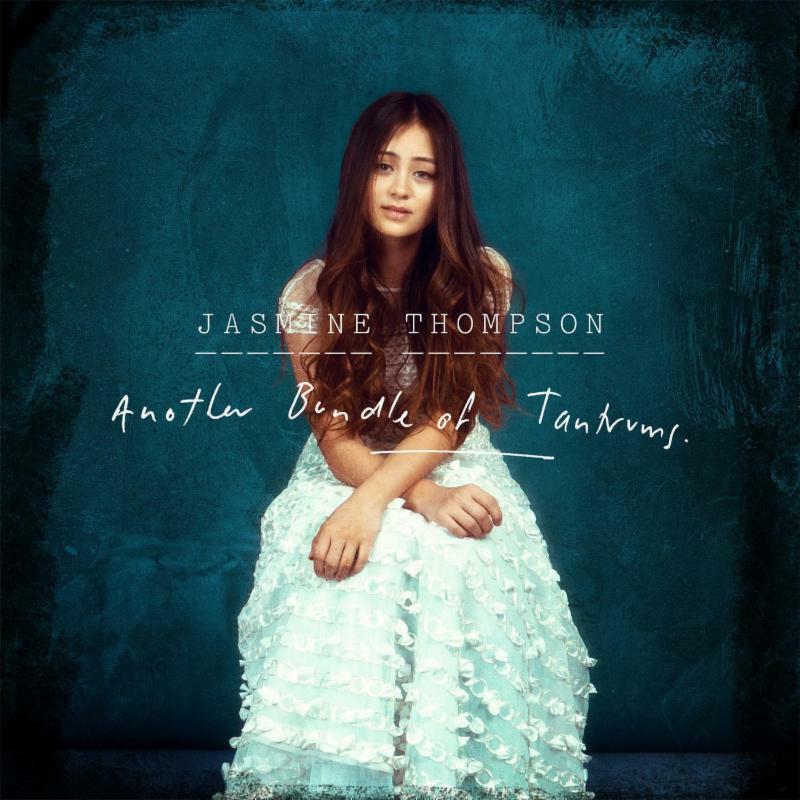 Jasmine released her new album, Another Bundle of Tantrums, worldwide on April 20th, 2014. The album features the original recording “Drop Your Guard” produced by Duck Blackwell and written by Jasmine Thompson, Emily Philips and Duck Blackwell. 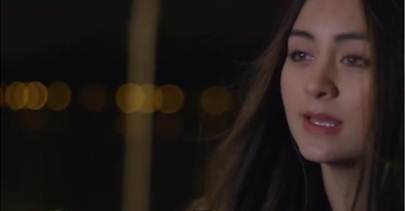 Jasmine Thompson Premieres “Drop Your Guard” Music Video Worldwide – WATCH NOW!! Jasmine Thompson premieres the new music video for her song “Drop Your Guard,” produced and directed by Simone Radclyff from Oliver’s Island, and available for viewing now on Zimbio.com [http://bit.ly/DropYourGuardPremiere]. The London-based singer-songwriter/pianist/guitarist has established an impressive fan base with her beautiful cover videos and original recordings. Jasmine’s 60+ videos have garnered over 44 million views and nearly 500K subscribers to her YouTube channel. Her new album release ‘Another Bundle of Tantrums,’ which officially releases on April 22 in the US, includes new cover songs and features the original recording, “Drop Your Guard,” produced by Duck Blackwell and written by Jasmine Thompson, Emily Philips and Duck Blackwell. When asked about the inspiration behind the single, Jasmine explained: “Drop Your Guard’ is a song about being open with your family and friends. When you are upset about something you don’t have to cope all on your own. Talking about it helps. But even if you are not ready to talk about it, just being with your family and friends helps. It was inspired by an experience I had with my brother. Once I was upset when we were on a family holiday in the Lake District. I walked ahead, sulking. My brother caught up with me and started talking to me about other things, fun things. I was surprised how quickly I forgot about my upsets, even though my brother didn’t make me talk about what made me upset in the first place. Jasmine Thompson’s new full-length album, Another Bundle of Tantrums, launched worldwide on April 20, 2014 and releases in the US on April 22. The LP follows up Jasmine’s debut album Bundle of Tantrums, released September 2013, and Under The Willow Tree, an EP of originals released October 2013. The debut album featured Passenger’s “Let Her Go,” one of Jasmine’s heavily exposed recordings, with over 9.5M views on YouTube. 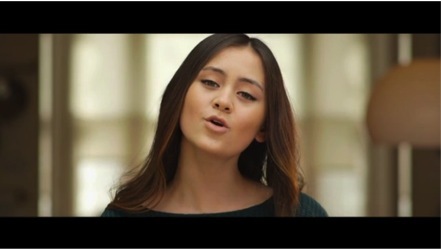 Check out Jasmine Thompson’s “Drop Your Guard” music video below. Jasmine Thompson, a 13-year old singer-songwriter, pianist, guitarist and dancer hailing from London, has established an impressive fan-base with her beautiful cover videos and original recordings. Her 60+ videos have garnered a whopping 44 million views and over 470K subscribers to her YouTube channel. Her cover songs have been featured on The Best of YouTube, Perez Hilton, Buzzfeed, BBC Radio 1.This month Jasmine will be releasing her latest musical creations in a new full-length LP entitled, Another Bundle of Tantrums. Check of Jasmine’s Cover of Demons by Imagine Dragons below.